Mathis intercepted 31 passes in college, playing both cornerback and free safety, and was a three-time Division I-AA All-American. 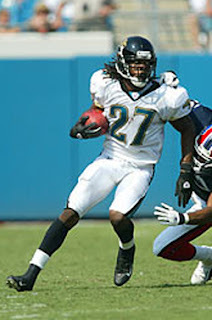 He was chosen by the Jaguars in the second round of the 2003 NFL draft and moved directly into the starting lineup at cornerback, where, while still something of a raw talent, he impressed with his speed and size. Mathis improved in 2004 and intercepted five passes and followed up with another five in ’05, one of which he returned for a touchdown. He showed good playmaking ability and also was effective against the run. Jaguars went 8-8 to finish third in the AFC South. With opposing quarterbacks throwing away from him, Mathis had just one interception in 2007 and his performance slipped in ’08 even though he ran two of his four interceptions back for scores. He missed six games due to groin and finger injuries in 2009 and, while back for all 16 games in 2010, Mathis was limited to nine games in 2011 with a torn ACL. He moved on to the Detroit Lions as a free agent in 2013 and exceeded expectations while providing veteran savvy and leadership until retiring following the 2015 season. Overall, he played in 175 regular season games and intercepted 32 passes, a franchise-record 30 coming with Jacksonville, with four returned for TDs.